This Junmai Ginjo Genshu sake was matured alongside and chilled by a massive amount of snow stored in the same insulated room, known as our “Yukimuro”. This method of storing food at low temperatures, using the abundant snow provided by nature, has been used traditionally in our snowy region of Uonuma, Japan for centuries. From the cold of the snow alone, temperature is naturally kept stable at 3 degrees Celsius without the use of electricity. After three years, the sake becomes round and very smooth. 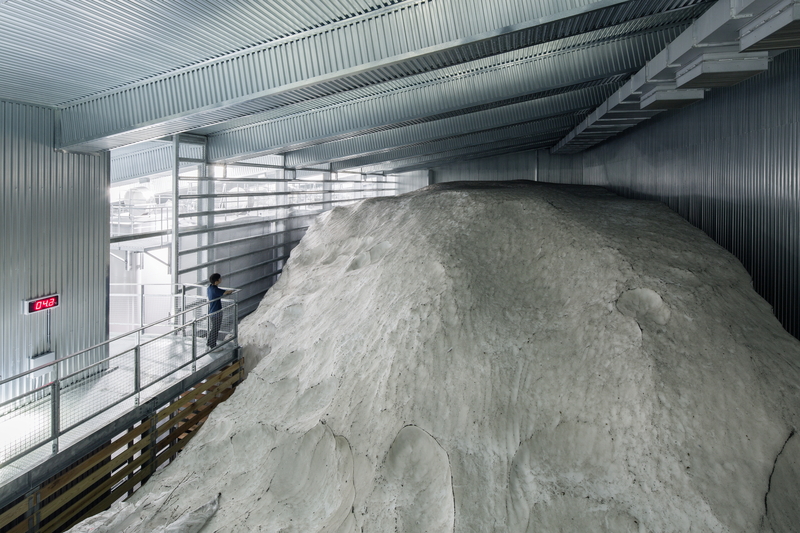 The Hakkaisan Yukimuro is a facility where winter snow is stored and is used as a natural refrigerator to keep food fresh during the summer time. Since ancient times, people have used snow to store things, and it appears in the “Nihon Shoki”, the oldest writings in Japan from the Nara era (710~794). The Yukimuro is usually divided into two side by side spaces; snow piled up on one side, and sake tanks and food items directly next to it. No electricity is used for Yukimuro storage. The natural cold air coming off of the snow alone is what does the chilling. It is an environmentally friendly food storage system developed through the wisdom of living in snow country from ancient times. Sake is delicate and even the slightest vibration or change in the environment can trigger deterioration. The reliable conditions of the Yukimuro provide perfect stability, yet with high ambient moisture and without exposure to light.